Rose Festival princess Gail Weyand waves a booster sign to show her support for Pittock Mansion at the antique car parade fundraiser. Published in the Portland Reporter March 25, 1964. In 1964, demolition threatened Pittock Mansion. The mansion, empty and damaged from the 1962 Columbus Day Storm, caught the interest of developers planning to turn the site into a subdivision. After public outcry, The City of Portland agreed to buy the property and turn it into a park if citizens could prove widespread public support by raising $100,000 of the $225,000 price tag in 30 days. Volunteers formed the Pittock Acres Retention Committee (PARC) to head fundraising efforts. 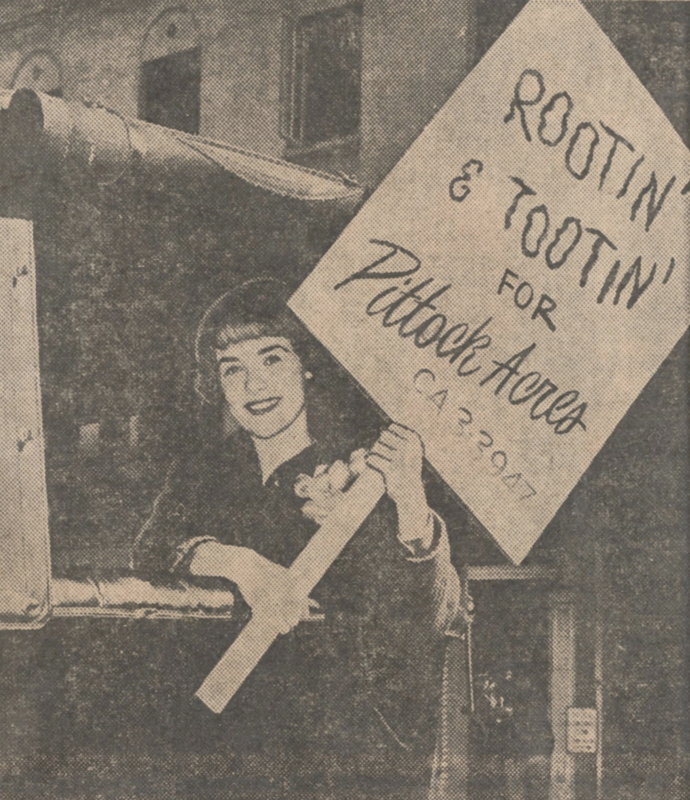 Organized into women’s and men’s divisions, the women of PARC solicited neighborhood groups and the men solicited local businesses for support. PARC members collect donations for Pittock Mansion in exchange for free haircuts. Published in the Portland Journal, 1964. PARC organized many publicity events and fundraisers, including a parade of historic automobiles, a car wash, an afternoon tea at Pittock Mansion that served 5,000 visitors tea in paper cups, and a last-minute “Eleventh Hour Dance” at the Multnomah Hotel. Contributions ranged from a few cents to $1,000. Despite PARC’s efforts, they raised just $67,510 of the $100,000 goal by deadline. Still determined to save Pittock Mansion, PARC convinced the city council of the merits of adding Pittock Acres to complete a chain of park land in the West Hills from Forest Park to Washington Park. On April 22, 1964, the city council voted to complete the purchase. After 13 months of restoration, Pittock Mansion opened to the public. Thank you to the Portland community for their support in 1964 and today! 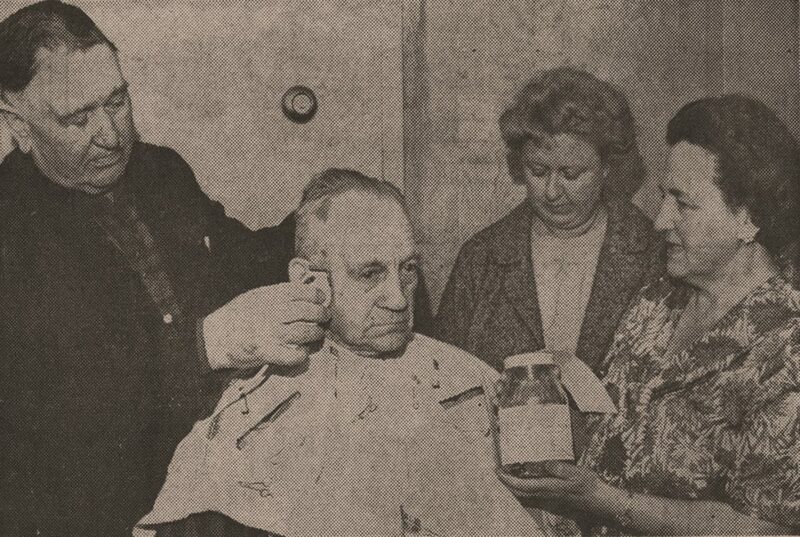 See more photo of the fundraising efforts in 1964 on our Facebook page.